I am so happy to announce that Happy Lotus is a studio partner with this exceptional event Wanderlust 108 Barcelona. 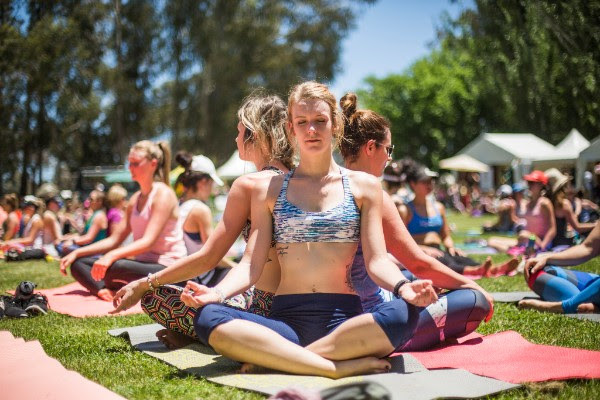 Wanderlust 108 is the first ever ‘Mindful Triathalon’ and combines a 5k run, a 90 minute yoga class and a 30 minute meditation. For me personally I believe that combining yoga and meditation with any other form of sport or exercise is an amazing way to bring more awareness to your body and movement and subsequently your life! 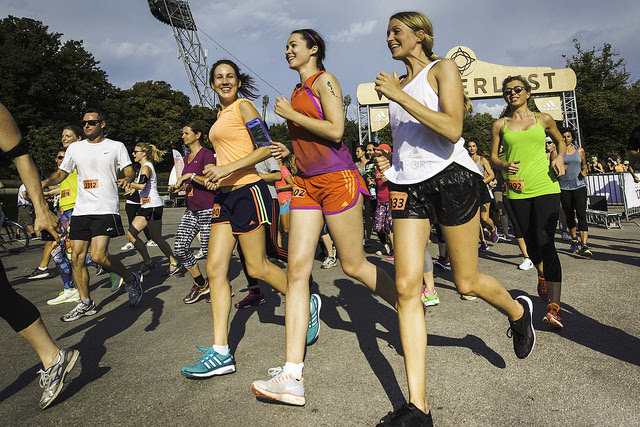 The event begins with a 5 km run, and it’s entirely up to you how you approach this – sprint, walk, skip or hop; it doesn’t matter how you make it round, so long as you reach the finish line. 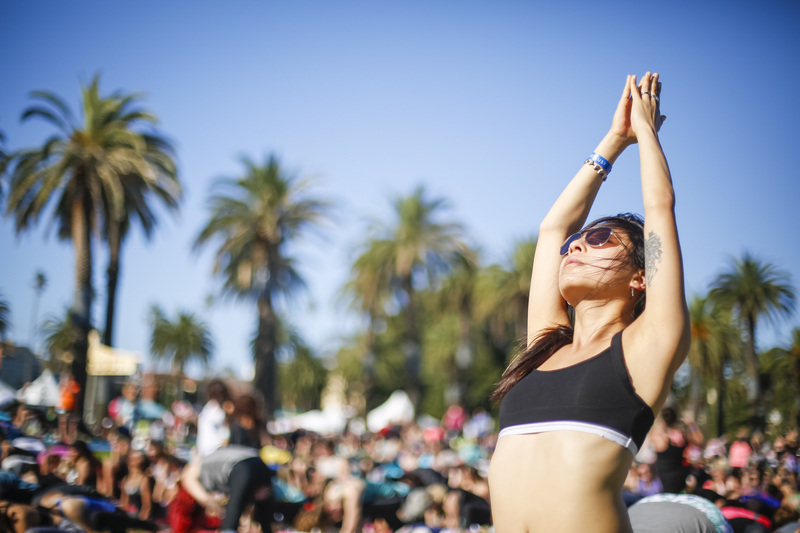 Next up is a 90-minute group yoga session accompanied by a live DJ. Your journey then winds down with a 30-minute guided meditation to clear your mind and relax your body. After completing this ‘mindful triathlon’, you then have free time to explore the site, partake in even more activities or indulge in a little retail therapy in the Kula Market or take part in one of the many activities on offer. You’ll find Happy Lotus are there not only as a participant in this amazing event, but also in The Uncommons area providing massages to all those that are in need! 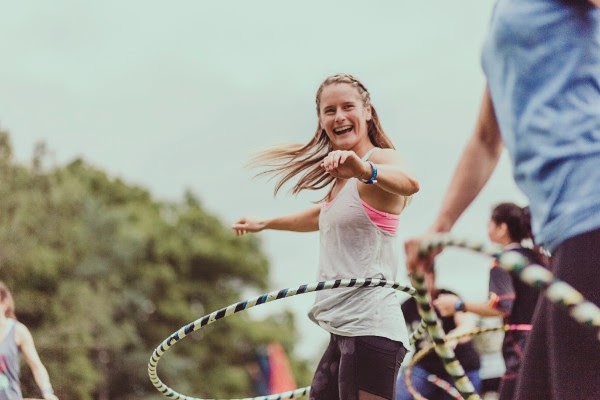 Come along and join in this Mindful event, where many like minded people will meet together to enjoy a beautiful day of moving our bodies and celebrating life! As an extra special bonus I have a 10% dicount code to offer! All you have to do is shoot me a message and the code is all yours!